Danny & Gerry play a lot of non-public concerts in schools every year with great success. There are 6 different school programs available based on the CD productions and books from Danny & Gerry. So there is counting, the alphabet, the months of the year, the seasons and many more things the pupils will learn and practice during the concerts. The shows are: Our First Songs, Our Day Out, More Of Our Songs, Our World Tour, the Christmas show Our Christmas and for Halloween Our Halloween. Are you interested in a school concert? Below is a list of upcoming Danny and Gerry concerts. If you are interested in a concert by Danny & Gerry, please contact Mag. Tom Amersberger (manager@our-music.com) or simply call him at +43 (699) 100 35 985 (mobile phone) or use our contact request form below. June 4, 2019 "Our Music Radio"
 The show starts on: Tuesday, June 4, 2019, at 09:00.  The second show starts at 10:45. This concert will take place in 44 days. June 5, 2019 "Our Music Radio"
 The show starts on: Wednesday, June 5, 2019, at 09:00. This concert will take place in 45 days. December 3, 2019 "Our Christmas"
 The show starts on: Tuesday, December 3, 2019, at 09:00. This concert will take place in 226 days. December 4, 2019 "Our Christmas"
 The show starts on: Wednesday, December 4, 2019, at 09:00. This concert will take place in 227 days. Here are some videos from and with Danny & Gerry for your pleasure. Just click on any thumbnail to watch these videos. In 1987 we produced More Of Our Songs which consists of a book and a CD with 14 songs for children aged 4 to 10 years. We now have a teachers kit containing additional information and ideas for activities around these songs. ▶ Audio clip: Can You Boogie? In late 1999 we released the second CD Our Day Out where we introduced our first audio story "The Bird Restaurant". In November 2001 Danny & Gerry brought their 3rd CD to the market: Our First Songs. This is a completely new production of early songs by Danny & Gerry. From now on, these often requested songs are available in best quality for you to enjoy. In the year 2002 Danny & Gerry made their first Maxi-CD called Our Christmas Songs. As with Our Christmas Songs Danny & Gerry produced another Maxi-CD based on a special time of the year. It is called Our Halloween and contains 6 spooky Halloween Songs. The Maxi-CD was released in September 2004. In April 2005 Danny & Gerry presented their sixth CD named Our World Tour. This full-length CD comes with 15 songs and a full-colored book with all the lyrics and illustrations by the Scottish artist Sheena Machotka. The seventh CD was released in April 2008 and is called Our Music Radio. This CD comes in an "AmaryBox" packing (DVDs are usually packed this way) where the 32-page full-coloured booklet can be stored safely. Again, Ms Sheena Machotka made all the illustrations. In December 2010 Let's Woki - Fun In The 4 Seasons was released, a production by Oy WOKItainment & Consulting Ltd. (Finland). The CD comes with 9 songs for children in the age of 4 and up. The newest CD was released in November 2012: Our Dance Party with 8 songs and a 12 page booklet with all the lyrics. For the first time Danny & Gerry offer 2 of these songs as a free download (FreeBee). Get your CDs through our online shop. It's easy, fast and secure: www.our-music.com/?shop. For the full details you may always visit www.our-music.com. Danny & Gerry - a fantastic and fun way to learn English. They produce wonderful CDs for children and perform exciting interactive live concerts. And all of that in English. Danial (Danny) D. Sheard was born in British Columbia, Canada, in 1970. His musical background, in Canada, stretches back to 1976, when he started vocal and piano lessons. From 1980 - 1988 he studied classical and jazz trumpet. In 1986 he began to learn bass guitar. After school in 1988 Danny moved from Vancouver, Canada to Austria, where he studied Jazz bass guitar at the Prayner Conservatory in Vienna from 1991- 1994. Since 1990 Danny has been teaching English as a foreign language to children between the age of 3 and 13. He worked for various companies until 1998 where he then opened the company our-music.com with his partners. He has conducted seminars for teachers in Vienna, Bratislava, Budapest, Munich, France and Japan. In 1994 Danny and Gerry decided to record an English children's cassette with brand new original children songs. It was titled "Our Songs" and was released in Europe and Japan. In the meanwhile, "More Of Our Songs", "Our Day Out", "Our First Songs" and "Our Christmas Songs" have been released. 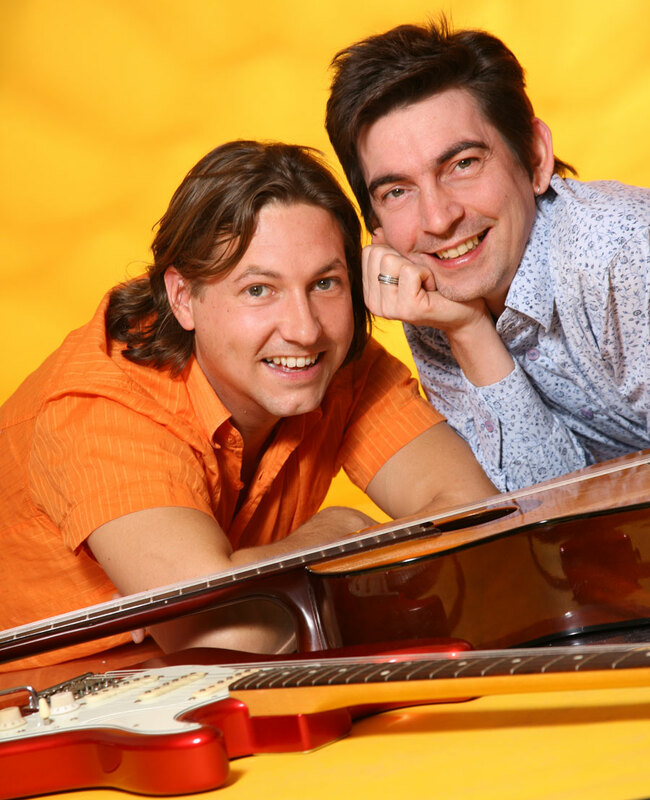 By combining their practical understanding of teaching children and their musical backgrounds, Danny and Gerry have been able to produce these wonderful new children songs which are being taught to children privately and in schools allover Austria, Germany, Hungary, Poland, Slovakia, France and Japan. 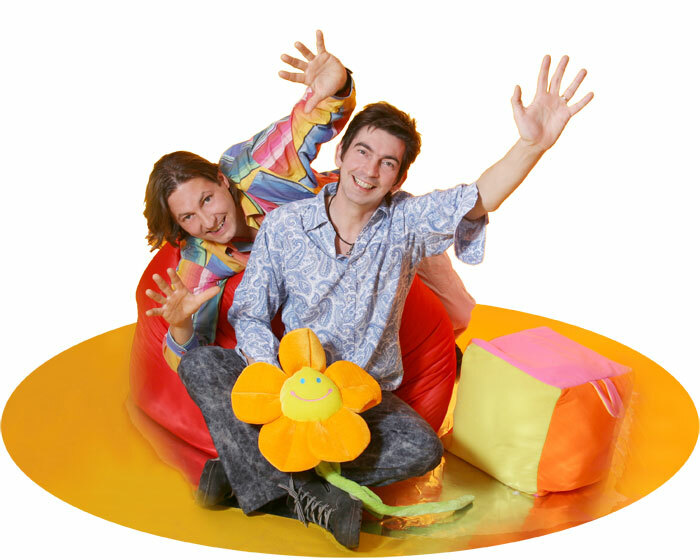 Since 1995 Danny and Gerry have performed many concerts for children with great success and feedback. 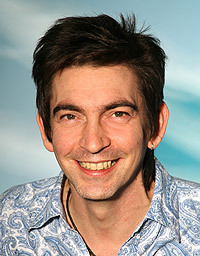 Gerry McNeice was born in Larne, County Antrim, Northern Ireland in 1963. Gerry has been involved with music from the age of 16, playing in various bands as a singer, guitarist and songwriter, in his native Northern Ireland, London and now Vienna. Apart from our music int. he's working with two other musical projects, Cosmic Love and Sevenhead, and was the main songwriter for a CD released in 1994. Most of Gerry's working life has revolved around young people and children. He's a qualified Youth Leader, and has spent time in Denmark as a youth leader. He came to Vienna in 1990 and for the past 28 years has been teaching English as a foreign language for English For Children. He has been conducting seminars for teachers in Vienna, Bratislava and Munich since 1994. Gerry is also presently working as a language assistant in High school Salzergasse in Vienna. our-music.com, Sheard, McNeice, Weninger OG, Hartlgasse 10, 2486 Pottendorf, Österreich. Bei der Deaktivierung von Cookies wird die Funktionalität unserer Website unter Umständen teilweise eingeschränkt sein. Auf unserer Website sind einige Videos eingebettet, die von Youtube ausgeliefert werden. 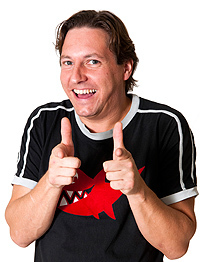 Wenn Sie auf ein Video klicken, werden Sie auf diesen Umstand hingewiesen und Sie haben die Möglichkeit, den Vorgang abzubrechen, bevor irgendwelche Daten ihres Besuchs auf unserer Seite an den Betreiber des Videoportals gesendet werden. Wenn Sie ein eingebettes Video auf unserer Website ansehen, dann werden die gleichen Daten an Youtube gesendet, die auch gesendet werden wenn Sie die Seite mit dem Video direkt bei Youtube in ihrem Browser aufrufen. This site is just a brief information about Danny & Gerry. For the full story please visit www.our-music.com. Get your CDs through our online shop. It's easy and fast: www.our-music.com/?shop. You may listen to any song of Danny & Gerry on the corresponding information pages at: www.our-music.com/?cdmain.asp. See videos from Danny & Gerry: www.our-music.com/?video.asp. Try a wordsearch, leave a comment in our guestbook or see what happened this day in history. Explore our-music.com now! © 2019 our-music.com OG. All rights reserved.